It was around this time last year, that Henry was profiled in Vanity Fair's Hollywood issue. The magazine also released a clip where Henry talked about being included in the spread (fast forward to the very end), and an interview where he talked about becoming the Man of Steel. 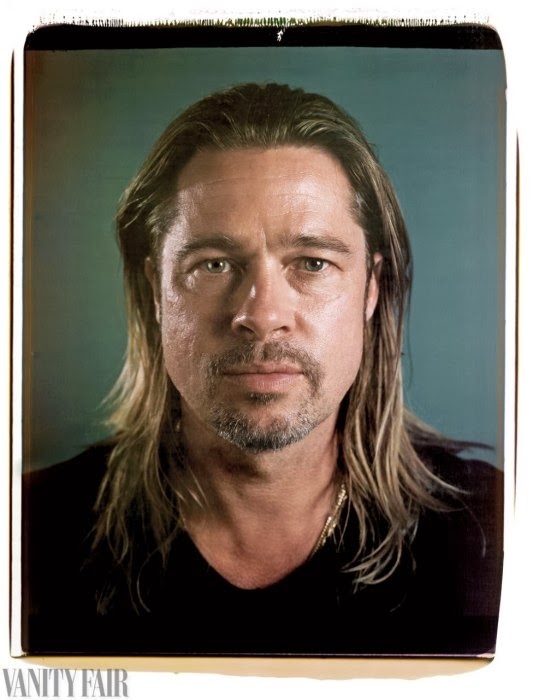 This year, Vanity Fair turned to photographer and artist Chuck Close, to capture actors like Brad Pitt and Scarlett Johansson in the raw. No makeup, no hair styling, no airbrushing, no photoshopping. It's gonna be shocking to people. There will be people who think I didn't glamorize the subject enough, you know and they think I was cruel (..) there will be people who say thank God somebody shows people as real people, the way they are.. and their humanity shows too. I do think human is, and humanity is.. pretty much the essence of a portrait. You can watch Close talk about the process in this video, the pictures and more at Vanity Fair. At the beginning of this year we made a promise to you that we wouldn't airbrush pictures of Henry, simply because we want to bring you the real person.. just the way he is. Now we're happy to see Vanity Fair take the same stance in support of natural beauty, flaws and wrinkles included. This year's Hollywood issue goes on sale today.